When you brave the freezing rain and a very long trek for barbecue, it better be good! 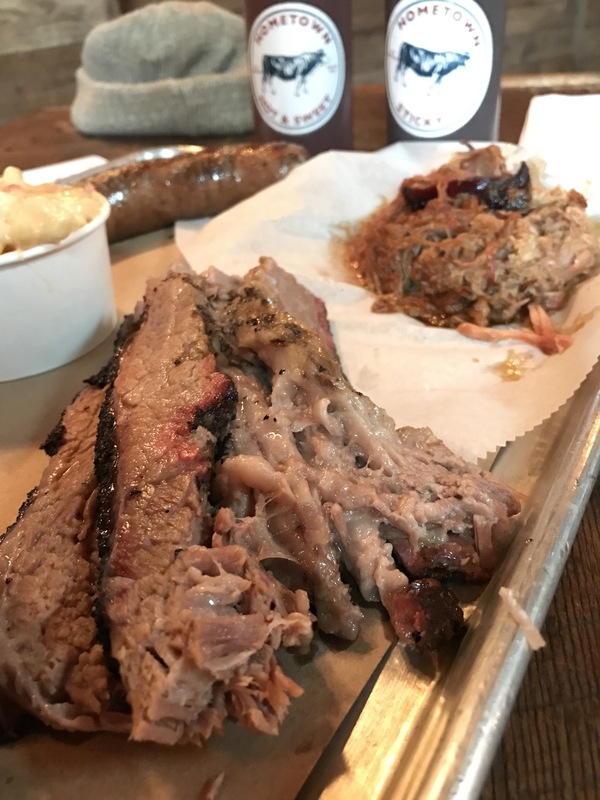 Well, for the best barbecue in New York (and according to some proud locals, the country) we’d do it all over again. Approaching this Red Hook institution you can smell the smoke in the air and the anticipation is palpable. 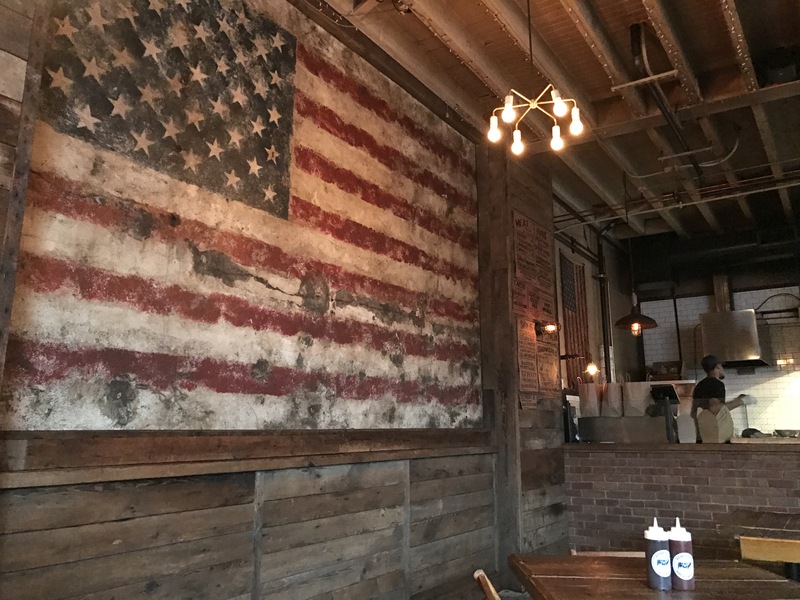 The decor is patriotic, full of wood, a giant flag and a little hipster sheek. 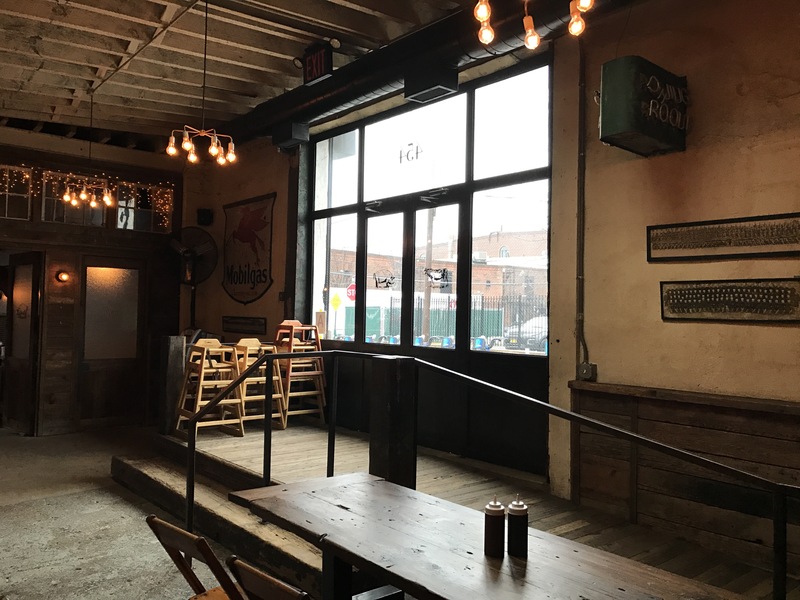 The venue was full of smoke and delicious barbecue smells. We grabbed menus before placing our order at the counter. 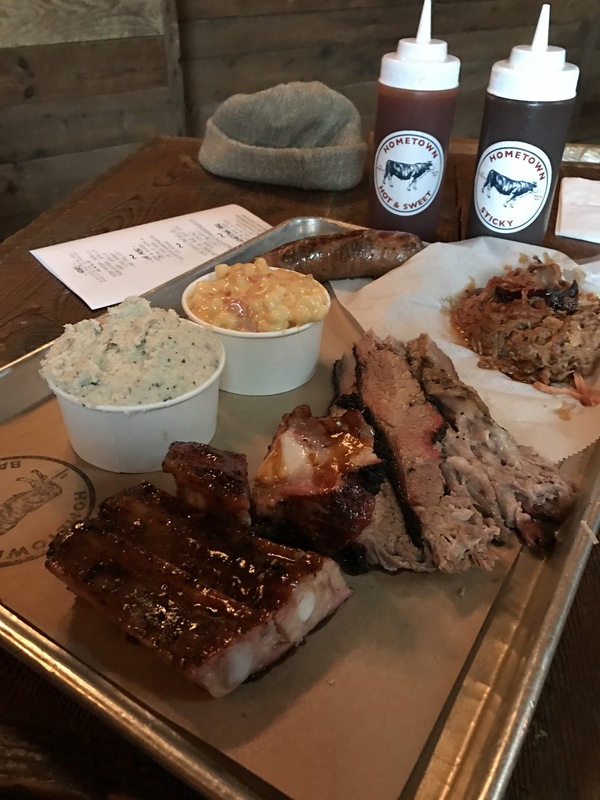 We’re found of the ‘try everything, order as much as possible’ way of doing things, so we went for an amazing mix of meat and some sides. It was an epic feast, brisket, pulled pork, sausage, ribs, potato salad and mac and cheese. The brisket was the best we’ve ever had, with an amazing smoke ring and oh so tender. The pulled pork was similarly tender, almost to the point of melting in your mouth. While the Italian sausage was moist and well seasoned, it was all about those herbs and spices. Finally, we loved the sticky and tender ribs. Hometown sure know how to make magic with a hunk of meat! Both our sides were unique in their own way. The mac and cheese was a spicy quest, giving a lovely warmth and creaminess. The backyard potato salad was its cooling companion, totally mashed but with all the flavours you’d expect. 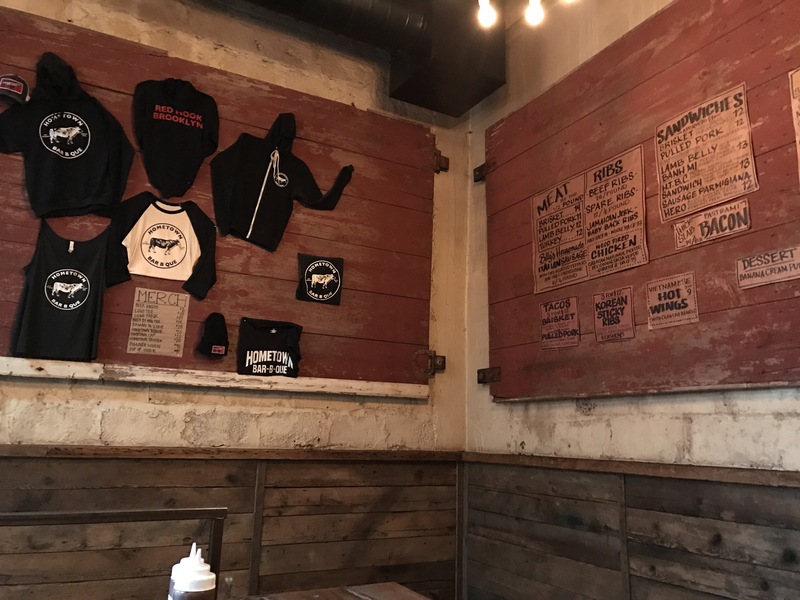 Hometown Bar-B-Que was everything we wanted and more. 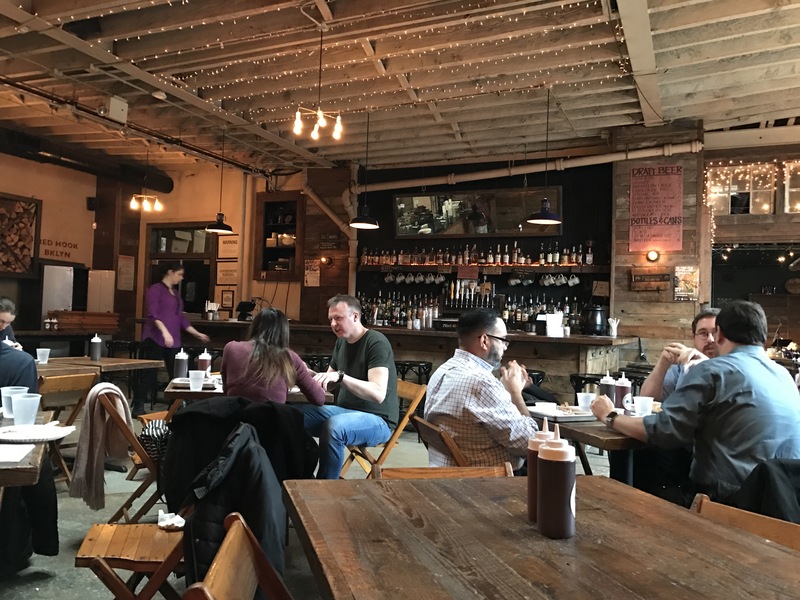 For the best BBQ in New York we’d even consider flying over from Australia to do it all over again.